For a video tutorial, check out the bottom of this article. 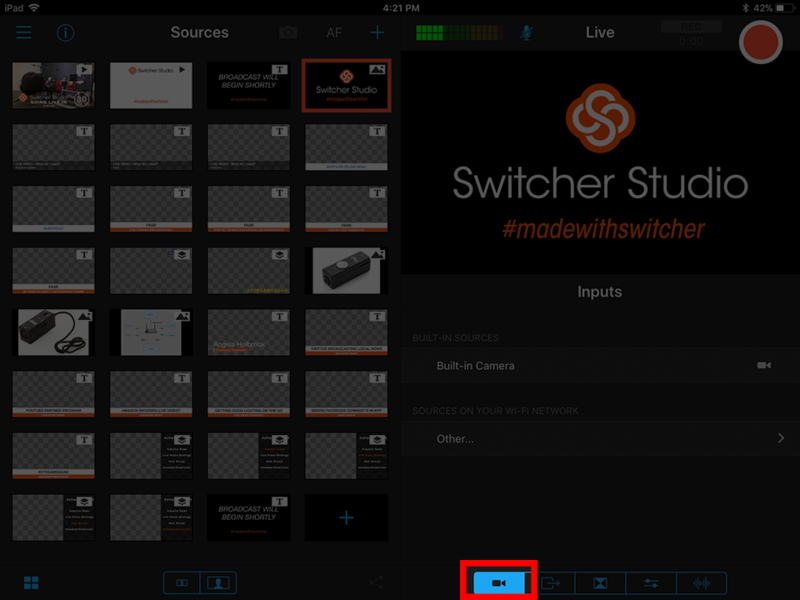 Because Switcher Studio works using a wireless network, it is important to make sure each device is connected to the same Wi-Fi network before doing anything else. Once you open the app on each device, a Welcome Screen appears that will ask you how Switcher will be using the device. 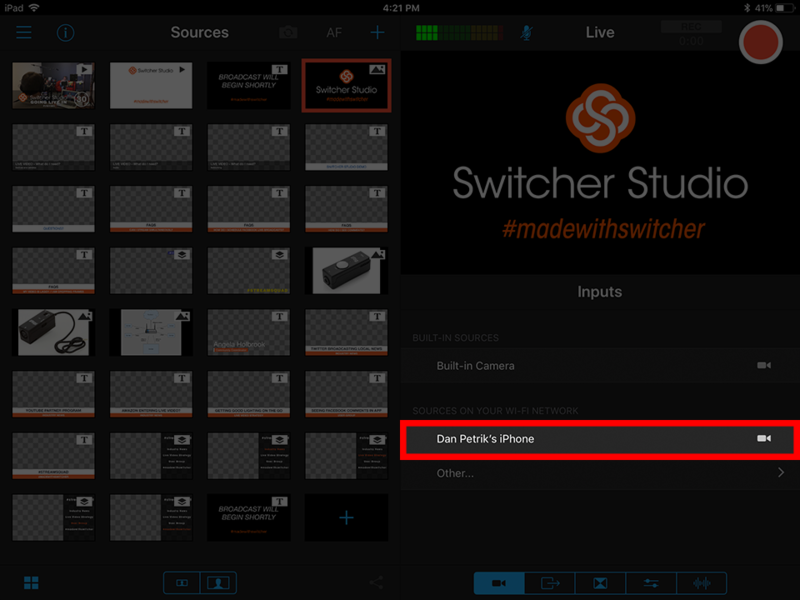 "Use as Switcher" is what you will choose on the device that will act as the main Switching device. 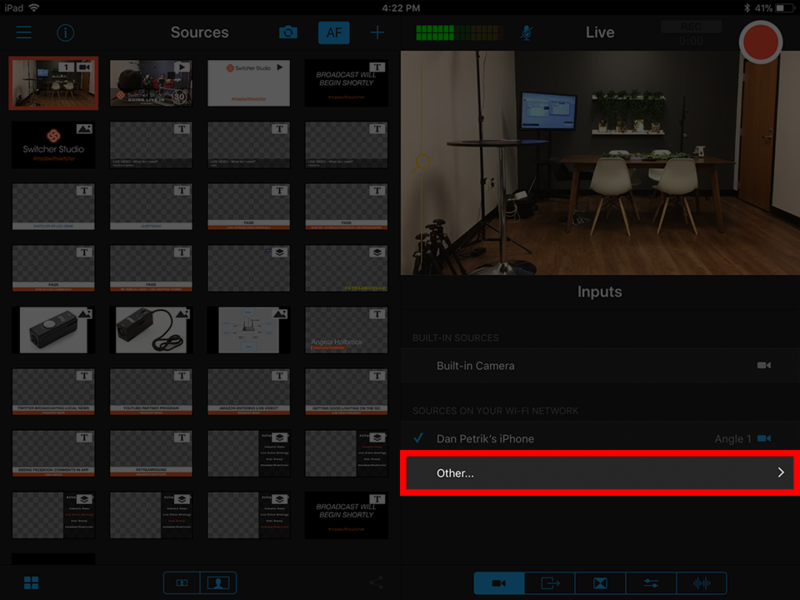 "Remote Camera Mode" is for the extra devices you want to bring in as additional cameras. 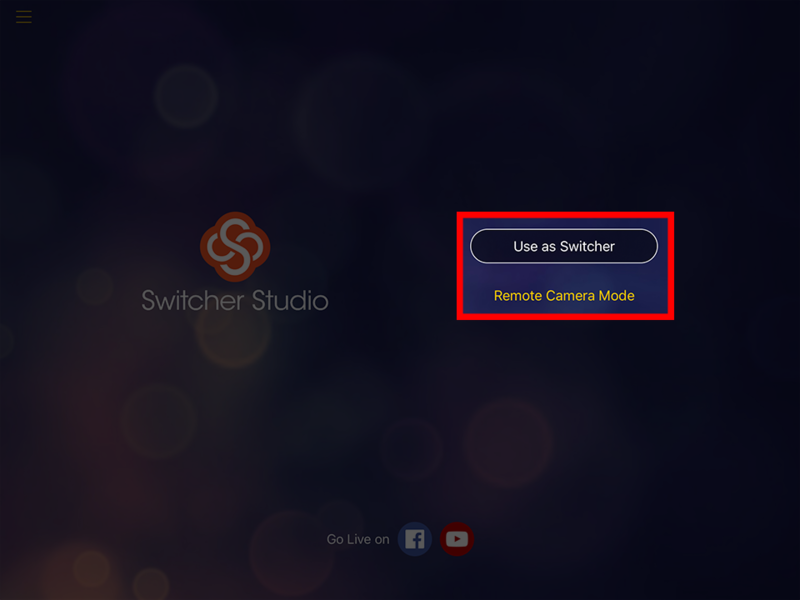 *Note* you only have to login on the main device, you do not need to login to Switcher to use a device in "Remote Camera Mode." On the main switching device, navigate to the inputs tab by tapping the camera icon in the lower right. 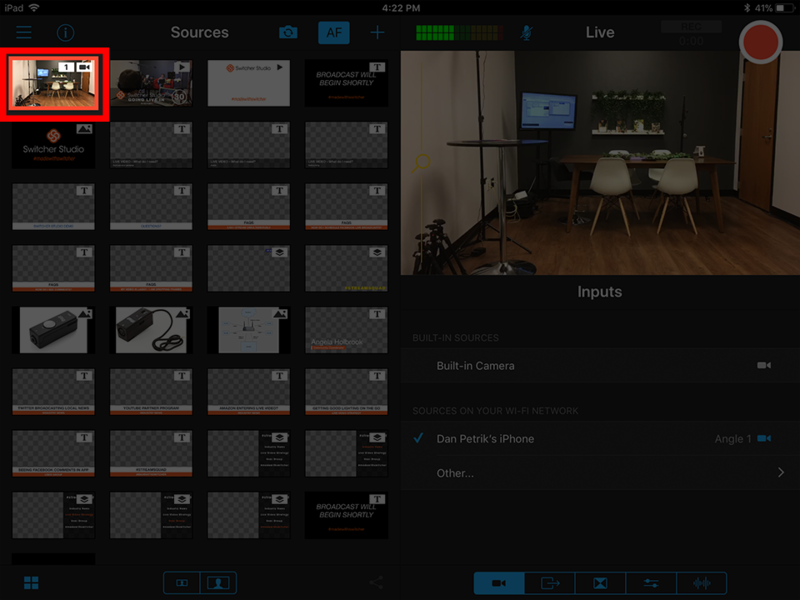 Remote cameras running Switcher on the same network will show up on the list ready to be connected. Tap on the device name you wish to connect. After a second or two, the device will connect and show up ready to be used as a source. If a device doesn't show up in the list, you can manually add it by using the device's unique rlcc:// address. Tap the "Other" option from the list. Now enter the device URL you are trying to connect and tap "Connect" in the top right. Your device will now connect to the main Switcher device. Using A Mac Or PC For Screensharing? We have a free screensharing program called SwitcherCast, which allows you to bring in your Mac's and PC's displays as additional camera sources! This is often used to conduct remote interviews via Skype or to bring in a PowerPoint Presentation during a broadcast. 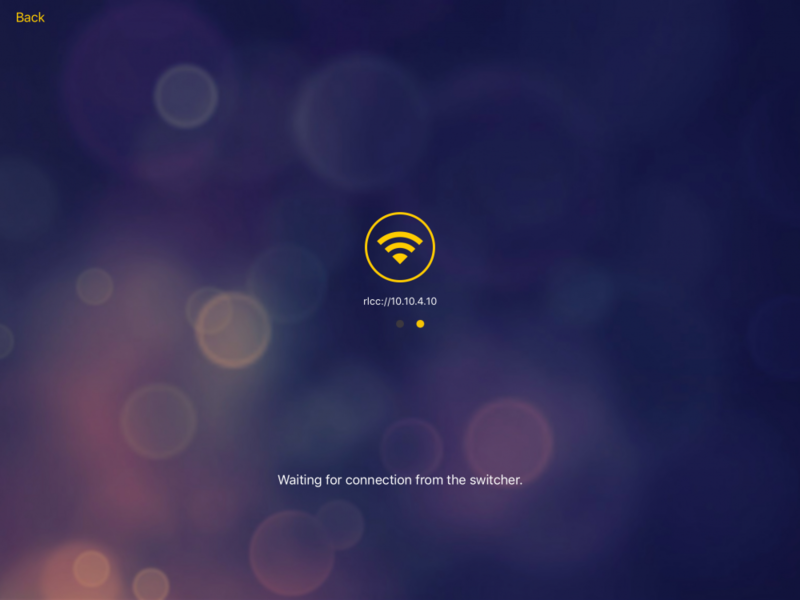 You can download SwitcherCast for Macs by clicking HERE. You can download SwitcherCast for Windows by clicking HERE.